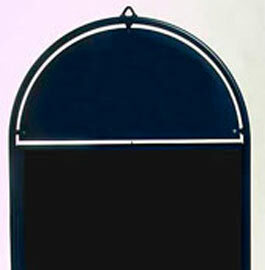 These wall display boards / poster cases / blackboards are well made with a tubular steel frame and zintec panels. They come with a clear PVC magnetic cover as standard. Your logo can go in the D panel. 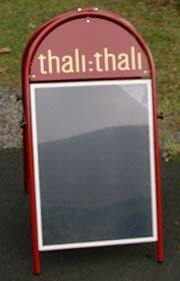 The main panel can be used for posters, a perminant design or with a blackboard or whiteboard insert. It is fitted with a loop to hang on a wall so it can easily be brought in at night. 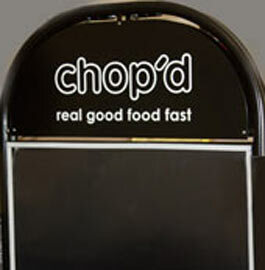 The wording or design can be created in simple cut vinyl or a full colour printed design. 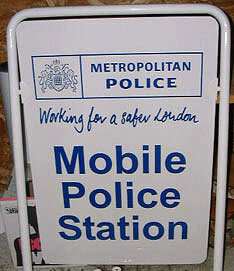 Full colour vinyl can be laminated for extended lifespan (£5 for headers £10 for panels), but the solid colour cut outdoor vinyl lettering is still the longer lasting material. It is available in 29 vibrant colours. 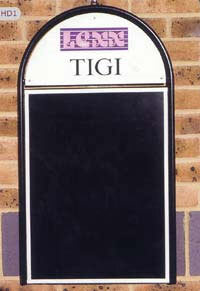 The standard colours for the pavement signs and A-Boards is black or white. However they are available in other colours - see the chart to the right. 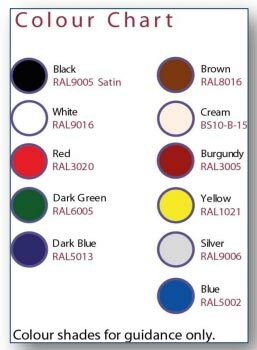 The extra cost for non standard colours is £39.90 excl VAT per order (not per board) to cover the extra painting time. £11.90 for your own image which has been vectorised (outline/traced) in a PC format - file types AI, or EPS. £19.90 per image for other formats eg. jpg, tiff, other bitmap or artwork to be scanned. There will be no charges if the artwork is sent to us as complete ready to use artwork. 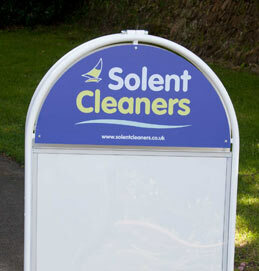 * To qualify for the £20 second board with lettering discount the A-boards, sandwich boards or pavement signs must be identical. The shopping cart is not able to apply the discounts. 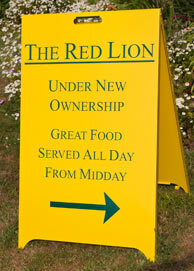 If you want more than one board - just email us and we will call you for payment. Made in the UK. Our team at The Sign Maker looks forward to helping you with your hanging wall display board.